Rohit's words mushroomed into my head to the extent that my google search list was full of “Club nights for Queer Asians in the UK”. But my mainstream resources only told me about Hungama Bollywood nights. But club scene for Queer Asians in the UK goes above and beyond the infamous “SoHo gay village clubs”. Club Kali was formally set up in 1995, inspired by Shakti, a gay disco night established by Shivananda Khan* out his setting up the Naz Foundation. Club Kali established itself as a “safe space” back in those days when being Asian and gay was simply not as acceptable, and particularly within the constraints and structures of Asian communities. “A lot of Asians were not out at that time. Most of these men visiting us were usually over 40-year-olds, married and living a double life where the Club gave them 5 hours of freedom without any judgment,” said Sam, a club associate. Club Kali's usual monthly club nights are now more diverse, and attracts members of the LGBT+ community across the board who shed their inhibitions and show off their Bhangra moves to the desi Bollywood beats. Most of these people happen to be members frequenting the club in the comfort of anonymity and feeling liberated from the constant stress of succumbing to familial expectations wherein they have to follow the burden of living a pressurized 'normal' heterosexual life with the women and family they are married into. This club follows a no photography policy as many of these members are not out and is wary of media representatives attending their events either. Moreover, it extends as a community that offers a “listening ear to these people” wherein it offers a support system by providing support and signposting around many of the additional issues faced by this community. “If someone were diagnosed with HIV positive then they can't go to their local GP because someone always knew someone either in the community or the family and that can be risky for people who are not yet out,” said Sam. The main objective of this club is to ensure events at venues are gay-friendly, safe, and where possible accessible to disabled members as well. Above all, the events enable LGBTQ people to meet, make friends, reduce isolation, feel they belong to a community and instil people with the confidence that it is okay to be gay. Kez Ansar started Club Zindagi in 2003 in Manchester primarily for LBGT+ members of the South Asian community. But today as it stands, the monthly club night attracts roughly 200-300 members from all diasporas with close to 80% of these members being Asian. Although the club does not exist as an outreach organisation, it addresses community issues of domestic violence or mental health by having a stand for Lesbian &Gay Foundation (LGF) at these club nights. 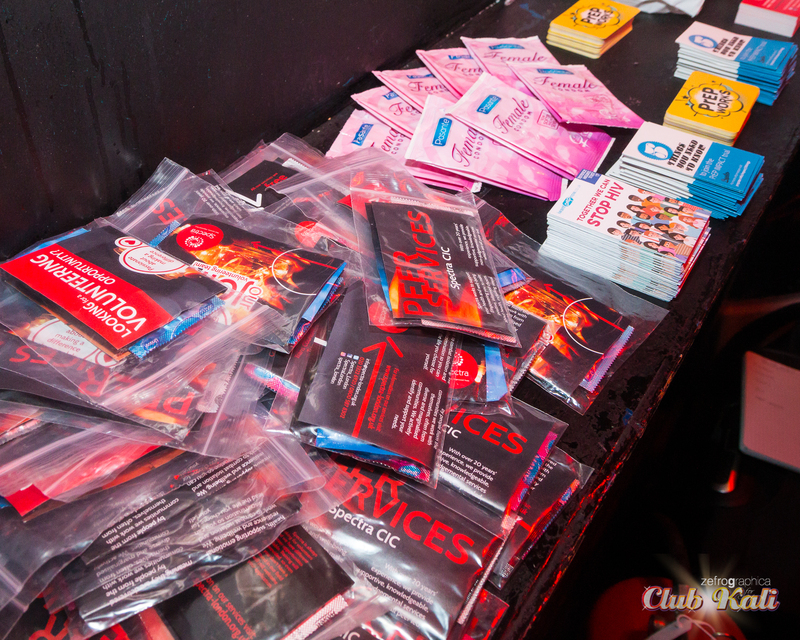 The LGF have pamphlets and their volunteers provide appropriate guidance. “Whatever we make on the door is re-invested back in organising and hosting the next club night because of the niche market. And everybody on the team is working on a volunteer basis,” said Adi. Fashion. Art. Expression. Liberation. East London's HUNGAMA club nights are perhaps synonymous to all such forms of love and acceptability. Curated by Ryan Lanji, the founder and producer of Hungama queer Bollywood hip-hop nights, these nights are open to anybody and everybody seeking a space for the celebration of their culture and music. “Even though the process may be slow...homosexuality needs to become more accepted in our South Asian society. The club night HUNGAMA with its Bollywood and dance floor full of positivity and acceptance facilitates the process of South Asian's in the gay community accepting themselves so they can integrate back into their family and culture,” explained Ryan. Walk into a Hungama event, and you will almost instantly be transported to a Bollywood Set right from Lanji mixing desi music with EDM tracks to the very thematic filmy decorations. The Glory, (in Haggerston), where Ryan hosted his first ever event in the summer of 2017, was in fact decorated to look just like a temple full of marigolds with Jalebis and Samosas being served off the counter and wedding songs ricocheting off the bar walls. “With Hungama I am trying to bring a whole new community of queer South Asians who have wanted to come to such places but haven't had the time or courage to experiment and I can support them in this process by hosting my nights at different venues regularly” said Ryan, “My aim is to have a united family of South Asians in the gay, lesbian and transgendered community so that we can speak up about who we are and teach our culture to be more accepting,” Lanji summarized his vision. But for each of these Hungama nights, the themes are different such that Ryan tries to bring facets of different South Asian culture and the creative arts of East London into the mix and give a liberating space for these members to loose their inhibitions and fall deeper in love with themselves and experience something they never imagined. Urban Desi was established in 2008 and primarily located at Farringdon under the umbrella of Urban World until recently when they have started experimenting with the venues. From organising a bi-monthly club night to now hosting a monthly event, this club has an “open door policy” as they believe that integration with the mainstream is very important. Their club nights usually run from 10 p.m. - 6 a.m. in the morning and attracts about 1000 people on an average with people in the crowd ranging from 18-65 year-olds. “We work with Scala and together we ensure that the hired staff be it the security or at the bar is respectful of our members who are coming in and we are especially very careful with regards to gay offenses or homophobic attacks,” said Vandana*. Homosexuality at least in my view is no longer seen as a taboo as it was back in the time when I came out. But I have seen a change in the younger generation now but there is certainly a long way to go!” said Vanessa. Running along similar lines of the above clubs is Saathi nights in Birmingham. The club recently celebrated its 14th birthday party in 2015.